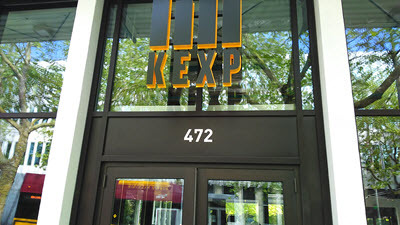 KEXP's new home on the Seattle Center Campus is a great space. In addition to housing KEXP's working offices, there is also a La Marzocco cafe on site, a cool 'pop-up' record store, and the space itself is super flexible to host everything from concerts to flea markets. It is a great place to visit, listen to some good music, and recharge when you're visiting Seattle Center.